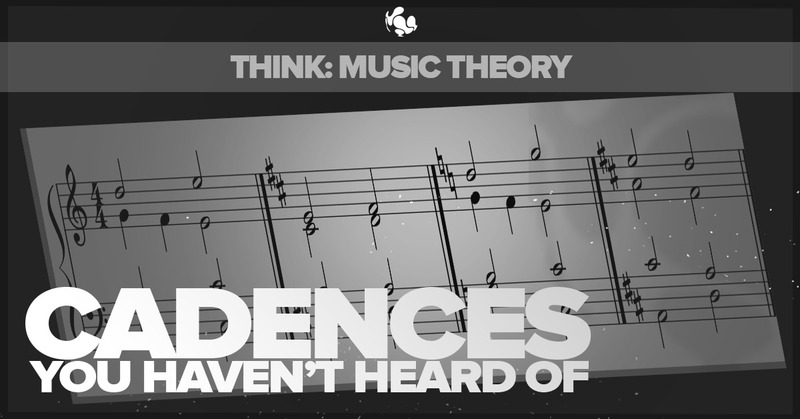 If you’re looking through ThinkSpace’s blogs, there’s a good chance that you are a musician (and hopefully a composer). That means you probably know what a perfect or plagal cadence is. But just in case you don’t, let me quickly explain. A cadence is a chord progression heard either at the end of a piece of music or at the end of a phrase within a piece of music, that generally brings a sense of resolution, like an end to a sentence. A perfect cadence is a V – I chord progression, that is, the dominant chord going to the tonic. So for example in C major, this would be a G major chord going to a C major chord. A perfect cadence has a very strong sound to it, which is why they are commonly used to close a piece of music. A plagal cadence is a IV – I chord progression, so in C major this would be an F major chord going to a C major chord. It sounds much softer than a perfect cadence. Not the best name for a cadence, is it? It sounds like it’s denigrating itself, like “What a pathetic cadence!”. In this context however pathetic means moving, poignant etc, like Beethoven’s ‘Pathetique Sonata’. This is a rather outdated term that doesn’t come up in most modern music dictionaries (so don’t feel too bad if you haven’t heard of it). I only heard of it when reading through a harmony book that was printed in the thirties. It is basically when a perfect cadence is preceded by a Neapolitan Sixth. What’s a Neapolitan sixth I hear you asking? It is a major chord in first inversion on the flattened second degree of the scale (the supertonic position). Quite a mouthful right? Once you get your head around it it’s really not too bad. Just think about a major chord one semitone above the root note, so a D flat major chord in C major. Then just put it in first inversion, so beginning on the third, which would be an F. Simple right? Like the Alberti Bass, this is a musical device named after someone who didn’t actually invent it, just used it extensively. 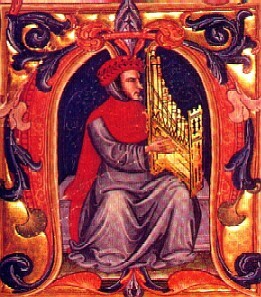 Francesco Landini, seen above, was a blind Italian organist, lute player and composer in the 14th century. Often the end cadence of a piece of music will have the leading note in the soprano moving up to the tonic, so B to C in the key of C for example. This will have the voice beneath moving in contrary motion, going from the second position to the tonic, so D to C in the key of C.
So the melody line in a Landini Cadence goes 7 – 6 – 1. If you know about modes, you should be familiar with the term Phrygian. If not, well… I’m not going to explain them to you now. This is a blog about cadences, not modes! But check out our previous blog on modes here to get yourself up to speed. A Phrygian cadence is one that ends on a major chord on the fifth position of the minor scale, hence it being Phrygian (as this is equivalent to the third of the major scale, where the Phrygian mode is built). So in A minor/C major, this would be an E major chord. Typically, this will be approached from the iv chord in first inversion, so in A minor that would be a D minor with an F in the bass. This means the final chord is approached by semitone in the bass. This semitone movement really establishes the Phrygian flavour, as the semitone above the root is the Phrygian’s most distinguishing characteristic. There are more weird and wonderful cadences out there than we covered here, but that’s all your getting for today! If you enjoyed this lesson, make sure you check out our other blogs, and stay tuned for further lessons. 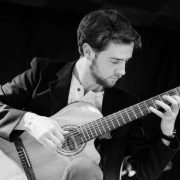 If you’re serious about furthering your knowledge and your career in music, check out our Postgraduate and Premium courses on our website and see which ones are suitable for you. We’re always happy to help, so send us an email at contact@thinkspaceeducation.com with any questions and we’ll get back to you.